You can easily access the Internet anywhere that has a cell phone signal, but it often comes with annoying drawbacks like geographical restrictions, licensing regulations, and ISP-imposed firewalls. But you don’t need to reluctantly give up and accept these arbitrary limitations – you can freely access everything the Internet has to offer with a VPN Unlimited lifetime subscription for just $51.67 CAD. 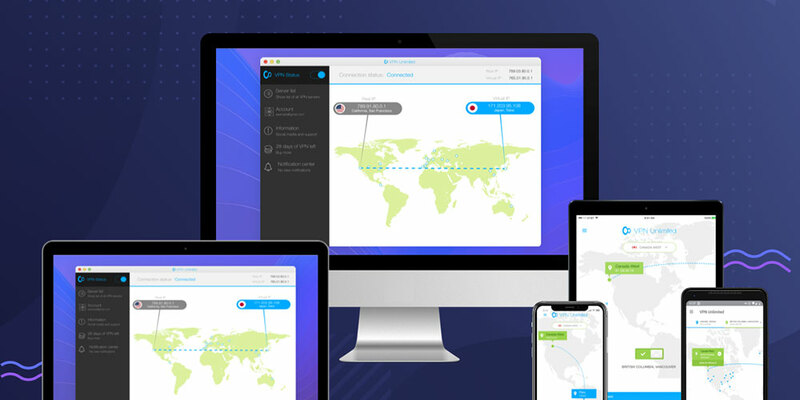 VPN Unlimited (PC Mag’s Top VPN for 2017) lets you bank, stream video from services like Netflix, BBC, and Hulu, use social media, and torrent files worldwide without any restrictions. It works with up to 5 devices, gives you full bandwidth capacity, and encrypts everything so your safety and privacy are never compromised. It even includes a special obfuscation feature to use in countries with highly-restricted Internet like China, Russia, and the UAE. A lifetime subscription to VPN Unlimited normally costs $645.94 CAD, but you can get it for just $51.67 CAD.